Felt Sales was originally founded in Perth, Western Australia in 1993; and with our premises centrally based in Carlisle we are able to service both our local and national clientele with ease. Having now been re-branded to Felt Sales PTY LTD in an effort to retain its well-known name and reputation synonymous with the supply of quality felt products, whilst formalising and securing the company's future as we diversify and grow within our industry. 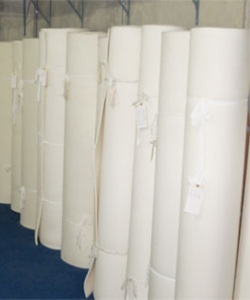 We are a supplier of a full range of Engineering Grade Press Wool Felt, complimented by a range of Domestic and Specialty Felt products. Our "in-house" facilities provides us the versatility to supply by the linear metre, cut lengths; die cut shapes, strips, discs and gaskets. Our Engineering Felt range: A Grade and B Grade are used primarily in the mining industry for mills and grinding equipment; and in general industry for bearing and grease seals, anti-vibration and wicking; both locally and overseas. Our Domestic Felt range includes: Decorative Felt for use in craft, restoration, educational and presentation projects; Floor Protection Felt suitable for flooring and furniture; Packing Felt used for removalist, transport and furniture protection applications; and now includes Regen Felt - an innovative product for use in Vertical Garden Systems, hydroponics and other self-watering planter garden systems and displays. Our Specialty Felt range includes some more unique felt products for use in specific industries and purposes such as felt polishing wheels, saddle felt, designer felt and die-cut or "kiss-cut" special felt shapes. We are open Monday to Friday, 8.00am to 5.00pm.